The 2018 Savanna Comics' Choice Awards take place tonight at the Lyric Theatre in Gold Reef City, Johannesburg, where legend of South African comedy Pieter-Dirk Uys will be honoured with the Lifetime Achievement Award. We caught up with the renowned comedian ahead of the awards. Congratulations on being awarded the Lifetime Achievement Award! How does it feel to receive such recognition from your colleagues? PDU: I am very honoured to be so remembered by my tribe of court jesters and city clowns. It used to be very lonely on the road of giggle and gasp. Now that I have been officially tagged with a Lifetime Achiever Award as an old poep in the windstorm of hashtags and hate speech, I am happy to watch the new generation try to work out how to make sense of the terrifying political nonsense from those idiots and mini-monsters who deserve every thrust and parry they get from the swords and spears of satire and stand-up. As long as they don't call me Oom! After decades in the industry, what has been your personal career highlight, and why? PDU: I would like to believe that every live performance is a personal highlight, because that audience makes it a unique experience for them and for me. I have probably been on stage alone since the 1980s over seven thousand times, and yet each outing is the first and the last, because of that live, breathing bum-on-the-seat. Being on stage with Nelson Mandela, me as the most famous white woman in South Africa and he as the most famous person in the world, can only be the pinnacle of highlights. Especially that last gig we shared where I could whisper through Evita's red lips: "President Mandela? Every time you see me, I'm dressed as Evita Bezuidenhout." He squeezed 'her' hand and whispered back. "Don't worry, Pieter. I know you're inside!" Have you ever had a challenging audience, and how did you deal with it? Or have you always been able to entertain every crowd? PDU: How often I have noticed a grumpy face in the front row, usually of a man, sometimes with a woman, who don't laugh at anything. They frown and fidget. They're obviously hating every minute. The danger of going over the top to convince them is tempting and I have done that occasionally to the detriment of the show. Then after the performance who should be waiting for me outside the stage door? The grim-faced man and grim-faced woman who want a selfie and say: "We've never laughed so much in our lives." All without the glimmer of a smile. So find that face in your audience that loves you, and play to that love. Or if someone looks offended celebrate that success. I hope I offend everyone, but not all the time. It's too exhausting. Offending is good. You rattle their cage of opinion and sometimes force them to rethink their attitudes. What challenges, overall, did you face as an upcoming comedian and theatric in pre and post-apartheid South Africa? PDU: From the word go, it was doing a tango in front of a firing squad. Making Van der Merwe jokes was one thing, but as soon as he was a member of the government it was verboten. I quickly had to separate comedy and humour. I was never very good at telling jokes as I would start with the punchlines or start laughing before I got there. But humour is very personal and not always funny. It as being able to laugh at fear which makes that fear less fearful. Apartheid was never funny. But those pompous, self-satisfied, Christian, educated, "decent" members of society who supported it and encouraged it and punished those who fought it, were horribly funny in their holy-than-thou hypocrisies. I was blessed with a NP government with no sense of humour whatsoever, so it became my aim in life to make them so angry, that they have heart attacks and die. I had some surprising successes. Today's democracy till now protected our freedom of speech and expression with a constitution which is being adapted to allow expropriation of land without compensation. Tomorrow there might be a law against hate speech which could neutralize many of the jokes, comments and jibes that power needs in order to remember that politicians work for the people and not the other way round. How much of an effect did censorship during apartheid have on your ability to create work? PDU: It was such a way of life that you knew whatever you said was probably going to be stopped. My plays were banned easily because they were full narratives of life under our separate developments. So anarchy became my protection in the revues — anarchy of gender, of the rule of law, of belief in church and state, in everything that was held sacred by the imperial minority. Wearing a dress was the first step. They didn't know who to lock up. It was also illegal to wear woman's clothing, so I could tick that box as well. (And saying that in Afrikaans could get me banned!) The secret was to use humour as a weapon of mass distraction. People didn't expect to remember what they laughed at, which was usually the very things they didn't even want to think about. In both your personal and career life, is there anything you would re-do if you had the chance? PDU: Oh yes, there were many possibilities I avoided that would have also ended my career and my life. Evita kept me balanced. She was never my fan and would always refer to me as a third-rate comedian. I would write letters from her to ministers complaining about Pieter-Dirk Uys. One was to the Minister of Police: "Adriaan my skat, lock up this Pieter-Dirk Uys! He is a communist and a terrorist and he not only wears woman's clothing which is very unchristian, but makes fun of me which is very un-Afrikaans. Do your job! with love, Evita." A brown official envelope arrived a few weeks later addressed to Evita Bezuidenhout c/o Pieter-Dirk Uys. In his own handwriting,Oom Adriaan wrote: "Liefste Evita skat, thank you for your letter. 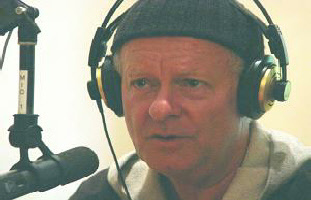 Unfortunately I can't lock up Pieter-Dirk Uys because our jails are full of everyone else." The fucker had a sense of humour! Lesson learnt: never underestimate your enemy. It makes them even more dangerous. Do you feel that you have achieved everything you've wanted to in your career and personal life? PDU: I don't have time to ponder those avoided pitfalls. Having been unemployed since 1975, means that I'm in charge of my life and work. There's no one to do things for me while I risk the next move. Discipline and organisation have made my 40 year old career possible. And of course having the best scriptwriters in the world who still never let me down. Do you think South African comedy is safe in the hands of upcoming comedians? PDU: Safe is an unfortunate word to use for what we do. It must be dangerous. It must be virtually impossible to make it look ordinary. Telling jokes depends on an audience getting the joke. Being satirical is having to be prepared to lose your life by telling a truth. If not, don't do it. The road behind is littered with part-time satirists. So don't be safe, be certain. Don't copy, be original. Don't expect anything, surprise yourself. And make every outing the first and last of your career. Like anyone in the kitchen, you are just as good as your last meal. Who is your favourite SA comedian at the moment, and why? PDU: Trevor Noah who is showing the world that we can export uniqueness. But my favourite local comedian has to be Julius Malema. He has a wonderful deadpan way of telling his jokes as if they're the most original in the world. He is brilliant at stealing other people's punchlines, and even though he would never have the time to write Mein Kampf or The Art of the Deal, he outdoes both Hitler and Trump in making me laugh at his noise. Malema and the EFF prove that our democracy works. What advice do you have for the current and future generations of comedians? PDU: If you find it funny, be careful. Make it funny for the innocent ear in your audience, but never lose the anger that forces you find a way of warning the world. With laughter.